If you take hot showers like most people, you probably have a problem of facing a fogged up mirror in the bathroom sometimes. 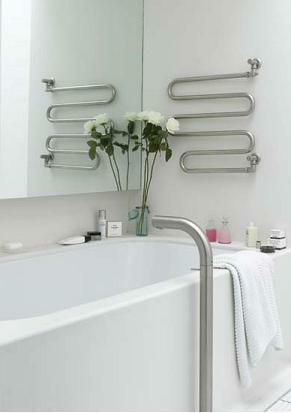 Mirror fog is easily remedied by any number of things you have lying around the bathroom. I personally prefer using plain old soap because its very easy to wipe off. How to do it: Just dab a little bit of soap (or whatever you choose to use – see above) on your hand and wipe this over the foggy mirror, or just the area you want to clear. Wipe the excess soap and suds with your fingers in a few smooth motions, and voila, No More Fog! The fog-free status will last about a week or so, after which you’ll have to repeat the process. *** You can use spit too, but that’s just… a bit gross. Divers use their own spit to clear the fog from their goggles before going underwater. But in the bathroom mirror, I really doubt anyone would want to spit at their own reflection, no? If you’ve ever handled fresh or dried chillies, you’ve probably experienced that burning sensation on your fingers and hands at one time or another. That painful, burning feeling comes from the capsaicin in chilies and peppers. Here are some user-submitted tips on how to get rid of that chili burn. One way to get rid of head lice is to slather hair and scalp in oil. Work in it your hair thoroughly and be very generous with the application. Put a shower cap on and leave it on for as long as possible. The next day, shampoo the oil out and rinse with vinegar. Did you ever notice how your perfectly-blended concealer looks good at home, but not-quite-so-perfect once you leave the house? No, you're not crazy. It's all got to do with lighting. I’ve done what you suggest, it is the mirror that will really clean.